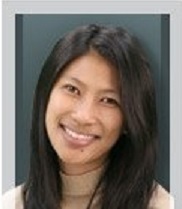 Michelle Wong LAc is the new Coordinator of the Healing Center at Immanuel Presbyterian. She has a long time interest in community health and social justice, as a former youth counselor at the Bresee Foundation, and former Shelter Manager for the Coalition to Abolish Slavery and Trafficking. Living and working in the Koreatown area, she helped found the White House Place Learning Garden. Today, Michelle is a licensed acupuncturist, practicing Traditional Chinese medicine and western functional medicine. She graduated from UCLA with Bachelor of Science, and from Dongguk University, Los Angeles with her Masters of Science in Oriental Medicine. Looking forward to growing the Healing Center programs, Michelle is open to suggestions from the community. Please email at Michelle@ImmanuelPres.org. Michelle Wong LAc es la nueva Coordinadora del Centro de Bienestar de la Iglesia Presbiteriana Immanuel. Ella se ha enfocado a largo plazo en la salud comunitaria y justicia social, como una ex consejera juvenil en la Fundación Bresee, y ex Directora de la Vivienda para la Coalición para Abolir el Trato de Esclavitud y Tráfico (Coalition to Abolish Slavery and Trafficking). Reside y trabaja en la zona de Koreatown, ayudó a fundar el Jardín De Aprendizaje Casa Blanca (White House Place Learning Garden). Hoy en día, Michelle es una acupunturista con licencia, la práctica de la medicina tradicional china y la medicina occidental funcional. Se graduó de UCLA, con Licenciatura en Ciencias y de la Universidad de Dongguk, Los Angeles con Maestría en Ciencias en la medicina oriental. Mirando hacia adelante a la creciente de los programas del Centro de Bienestar, Michelle está abierta a las sugerencias de la comunidad. Por favor envíeme un correo electrónico a michelle@immanuelpres.org. This entry was posted on Monday, August 22nd, 2016 at 1:19 pm and is filed under Announcements, Healing, Staff Happenings. You can follow any responses to this entry through the RSS 2.0 feed. You can leave a response, or trackback from your own site.